More than 200 patients died in Northern Ireland’s hospitals in 2017/18 while waiting to be discharged, a report from a terminal illness charity has concluded. The Marie Curie report, which investigated the impact that delayed discharges had on terminally ill people in Northern Ireland, found patients spent thousands of extra days in hospital beds after being declared ready to leave, with some dying while waiting. The data showed that discharge delays were caused by several factors, with the single biggest contributor being capacity in community care – in particular, lack of domiciliary care packages, care home places and issues with care planning in hospital. There were more than 46,000 delayed bed days across the Northern Ireland health service in 2017/18, with 204 patients dying in hospital while waiting to be discharged in the Belfast, south eastern, southern, northern and western trusts. A lack of domiciliary care packages accounted for nearly 13,000 delayed bed days, while 10,100 delayed days were caused by hospital care planning issues. A further 7,775 delayed days were caused by a shortage of care home beds. The report, Every minute matters, stated that the shortage of domiciliary care packages was caused by two main factors: lack of funding and a shortage of staff. This is reflected in growing waiting lists across the health service. For example, while there were nearly 700 people waiting for a domiciliary care package at the end of 2016, this increased to more than 1,200 in 2017/18, with more than 600 people waiting in the Belfast trust alone. 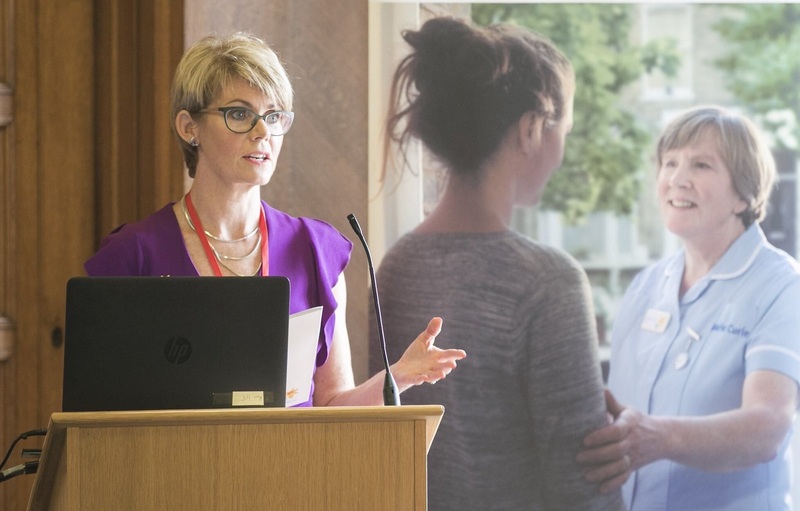 Care providers across Northern Ireland are struggling to attract and retain staff because of a combination of low pay, poor conditions and inadequate opportunities for career progression. According to the document, part of the problem lies with social care commissioning, which forces independent providers to compete for contracts largely on price, creating a ‘race to the bottom’ where staff wages and costs are squeezed to keep costs low. Furthermore, terms and conditions for staff in the independent sector are much less favourable than in the statutory sector; ‘as and when’ contracts, unpaid overtime, unpaid training time and no or limited travel expenses. Joan McEwan, head of policy and public affairs for Marie Curie Northern Ireland, said: ‘Most terminally ill people want to spend the time they have left being cared for at home or in the community. It is unacceptable that pressures in community care and challenges such as delays in getting equipment or making adaptations are preventing this from happening. Social Democratic and Labour Party health spokesperson Mark H Durkan said that figures were extremely worrying and ‘entirely avoidable’. A Health and Social Care Board spokesperson said ensuring that all patients were able to leave hospital and either return home or to a community setting was a key priority.